One of Newark, New Jersey’s most unusual buildings is a yellow-stone crenellated tower located right across from Calandra's bakery on Bloomfield Avenue. 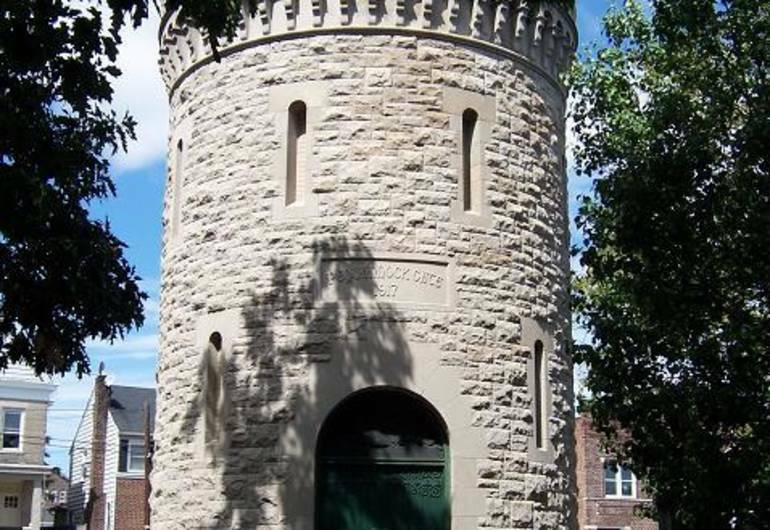 The Pequannock Gate, also known as the North Newark Castle, is a memorial to Mayor Joseph E. Haynes the twentieth mayor of Newark, who served the city from 1884 to 1894. Mayor Haynes is responsible for giving Newarkers a clean supply of water. 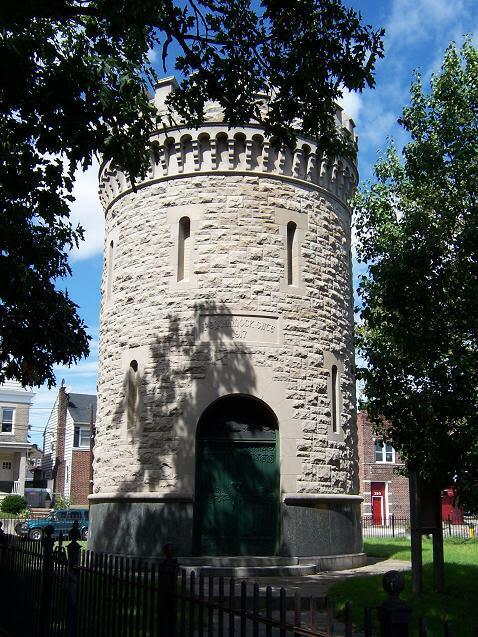 It was designed by the chief engineer of the water department, George Sanzenbacher, and was built in 1917 by the firm of Francis McCue for $12,496.